The western juniper is actually considered an invasive species in Oregon, which seems terribly sad to me since they are so interesting looking. I spent some time taking pictures of them, along with other Northern California and Oregon trees. I decided upon a juniper for this piece, not just because I love the gnarly way they look, but also because the song Jennifer Juniper kept running through my mind! This is a pretty simple piece when you get down to it. 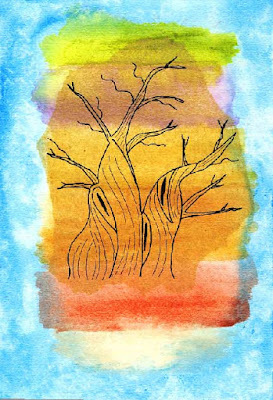 Draw a tree or something else that you love. Chose the colors that remind you of the place. Assemble! 1. I used a lightbox to trace my drawing onto dressmaker's pattern paper with medium and extra small Pitt pens. Spray the tracing with an acrylic fixative. 2. 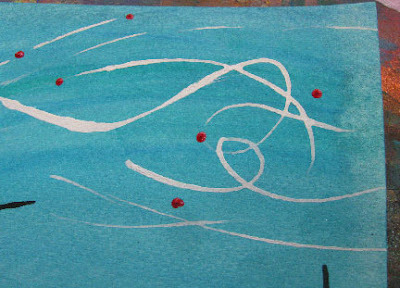 On a wet piece of heavy watercolor paper, use foam brushes to paint around the outer edges with Phthalo blue acrylic paint. 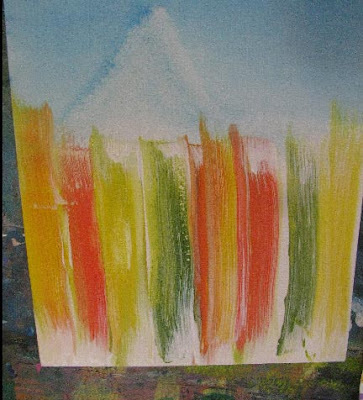 All of the paints that I used were diluted with quite a bit of water in order to get some binder separation. Texture the blue before it dries with a paper towel. Let it dry before proceeding. Green gold, Sap green, Dioxazine purple, Titan buff, Yellow ochre, Red oxide, Quinacridone burnt orange, Burnt sienna. Mix and dilute until you get what you want, and use a spray bottle to moisten the surface. 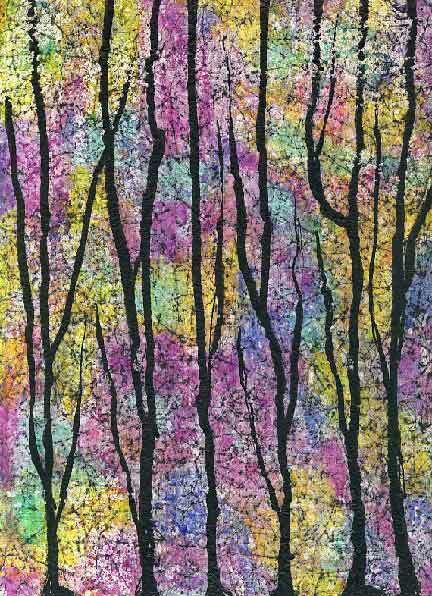 I used foam brushes to spread and blend them. Let the colors dry and top them with Polymer medium. Let it dry. 4. Rip out the pattern paper tree. Iron it in place, using parchment paper to protect your iron and board. Do any final color adjustments. Spray again with acrylic spray, and top the entire piece with Matte medium. For this piece, I started with a very limited palette that I wanted to experiment with. 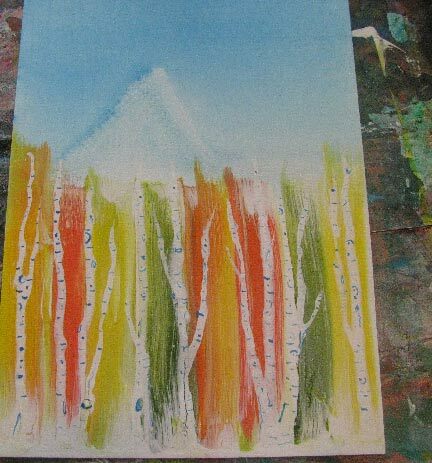 For the sky, I used a Phthalo blue gradient, and for the trees, I used Hansa yellow medium, Pyrrole orange, Green gold, and waterproof white ink. 1. Using a large foam brush, paint a blue gradient onto a wet piece of watercolor paper for the sky. 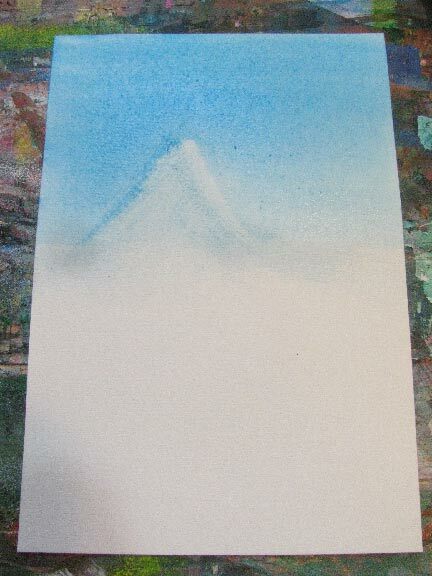 Use a paper towel to wipe off an area for the mountain background. 2. Working from the bottom of the piece, alternate blobs of your yellow, orange, and green paints. Use White gesso on a foam brush to pull the colors upward. 3. Use white ink to drip trees from the bottom with a pipette. Use a skewer to add some skinny branches. 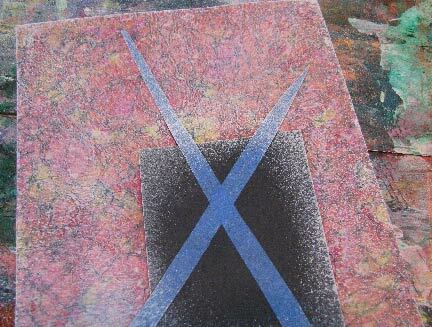 Also use the skewer to add bark markings with diluted Phthalo blue. 4. 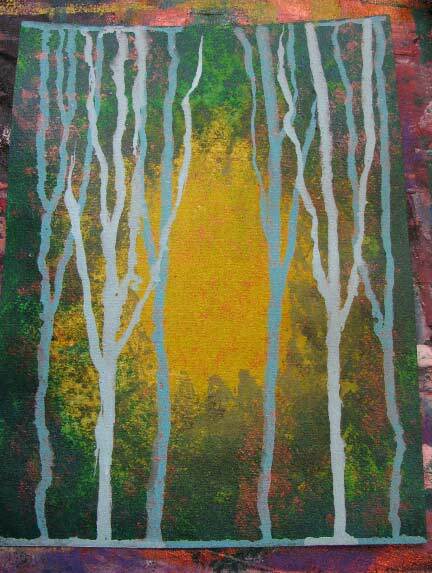 Cover the tree area with Polymer medium and the sky area with Matte medium. Let it dry. 5. 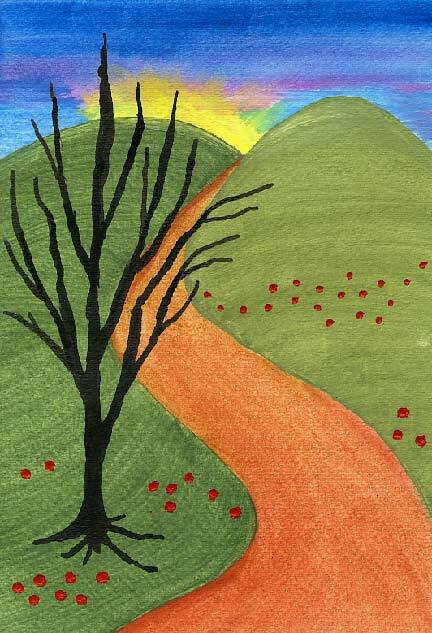 Use a ratty brush to stipple in "leaves", making sure the tops are uneven across the horizon. 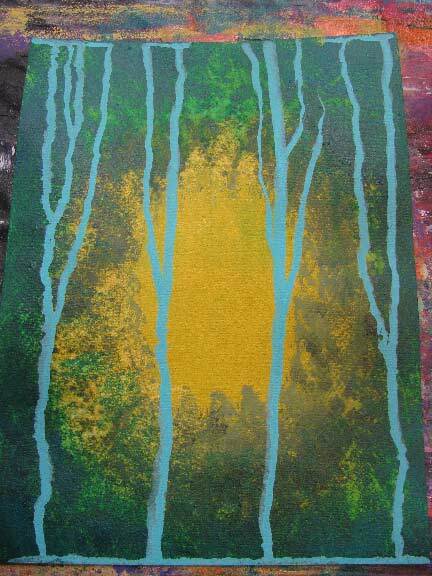 I used 2 parts of the Hansa yellow medium to 1 part of the Green gold. I topped all of it with a bit of Iridescent gold, and once everything was dry, I gave it all a final coat of Matte medium and a few coats of Krylon spray. A new series coming soon! Copyright 2017 Cyndi Lavin. All rights reserved. Here is the last installment (for now!) 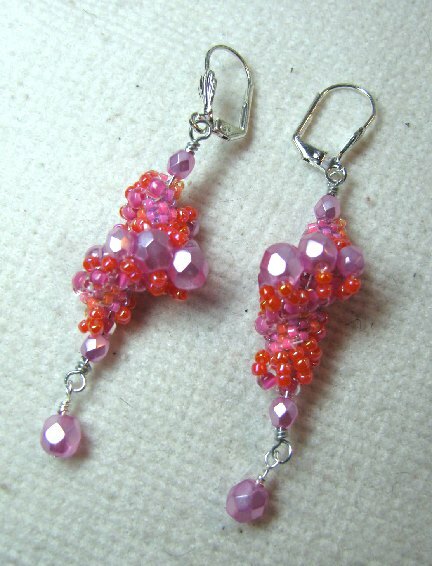 of tutorials that have been posted on Beading Arts, covering beaded arts, jewelry, and other wearables. Each month, the smiley moon is my favorite part of the moon phase. I'm not sure why, but maybe because it reminds me of the Cheshire Cat? 1. Wet a heavy piece of watercolor paper and use a foam roller to paint it solid with Hansa yellow opaque. 2. 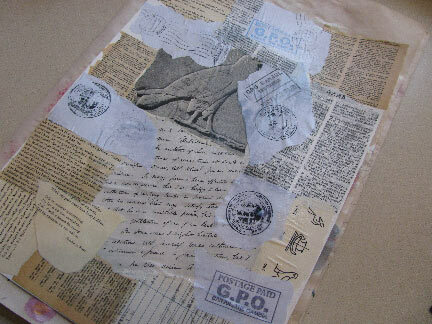 Alternate small blobs of Pearl violet, Metallic olive, and Red oxide along the top edge, and use White gesso to pull them down the page in long strokes, using a foam brush. 3. Scratch into the damp paint to reveal some of the yellow underpainting. Add more pure colors to adjust. 4. Use the bottom rim of a small paper cup to stamp in a moon arch with Hansa yellow opaque. 5. 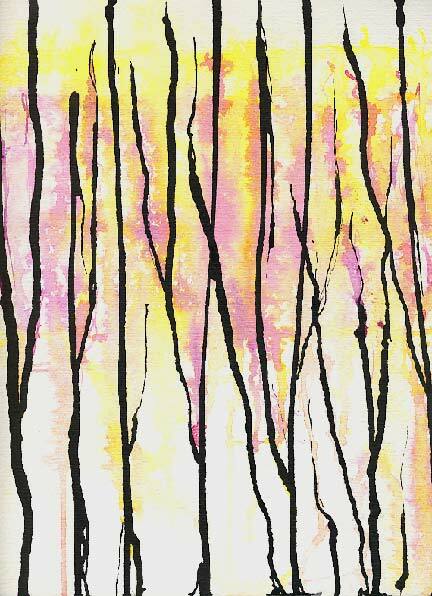 Use waterproof black India ink in pipettes to drip in the trees. 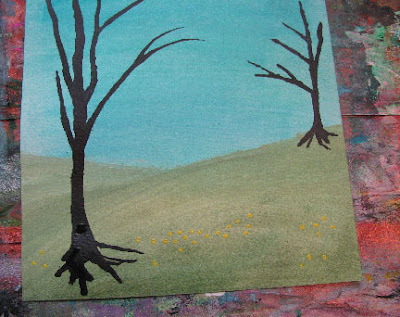 Take a raggy, craggy old brush and use it to stipple in the "leaves" with a mixture of Yellow ochre and White gesso. I think my tree is ready for that adventure! What better than call a dance?" The technique used is basically the same as for the painting Longing with only a small color variation. 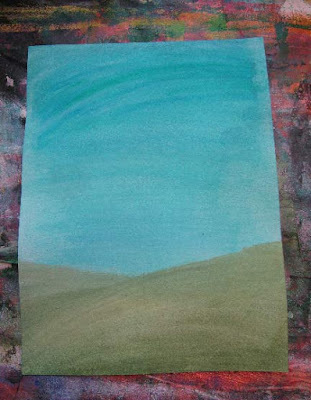 I used Phthalo blue and Dioxazine purple for the sky rather than Phthalo blue and Phthalo green. I wanted a somber feel, but rich colors, so a ended up doing an underpainting to help guide my choices. The paints I used were acrylics...you are welcome to change up the colors to suit yourself! 1. 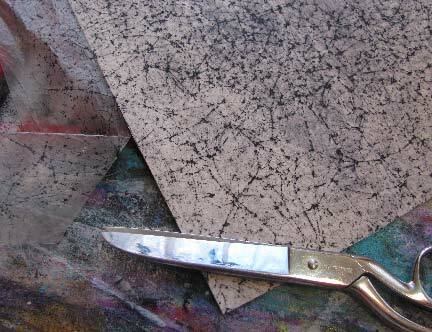 Lightly spray a piece of heavy watercolor paper with water, and use a large brush to lay in waterproof black India ink. Keep it darkest around the edges, and leave a spot with no ink at all. Blend the ink to get a nice gradient. Allow to dry completely. 2. 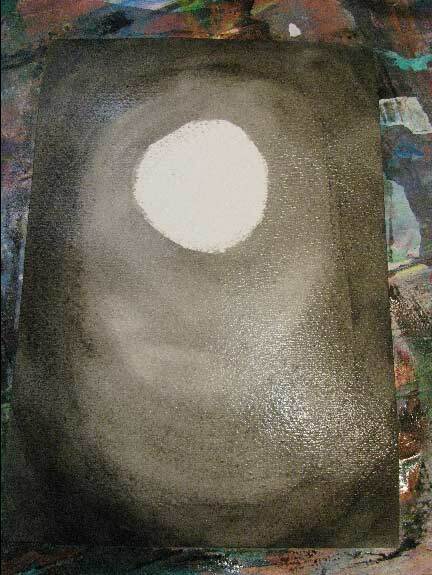 Use a mix of black gesso and white gesso to make a light gray. 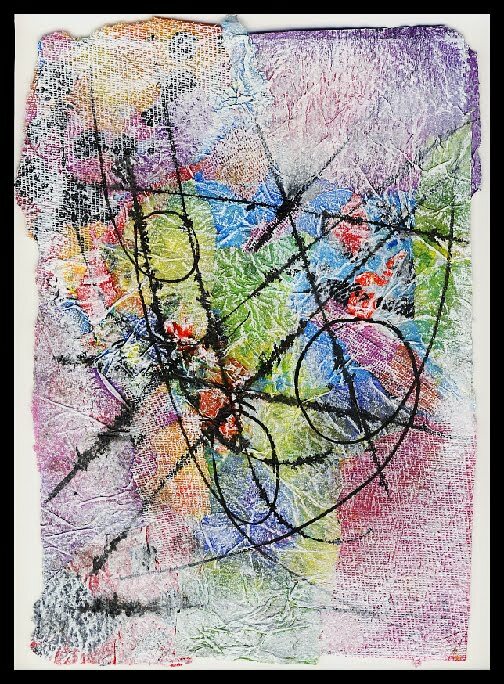 Use a foam brush with the gray mix to pull full strength heavy bodied Phthalo blue and Dioxazine purple down the length of the paper. Spray lightly with water if needed. Adjust the colors. While the piece is still damp, use a pipette to drip diluted black ink from the top. Allow to dry. 3. Drip full-strength India ink from the top. Use the pipette to draw in some branches. 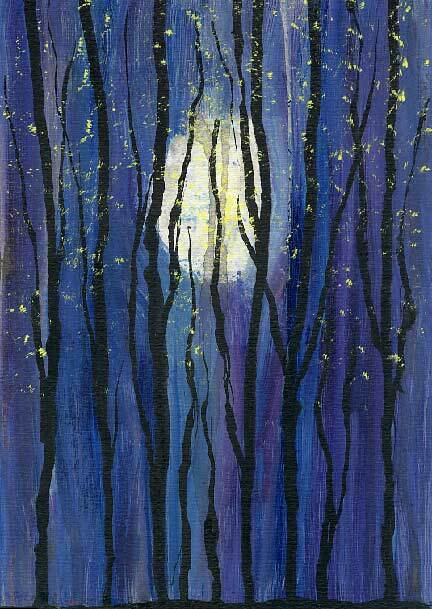 Take a scruffy, beat-up brush and dab in "moon dust" around the tops of the trees, with a mix of white gesso and Hansa yellow light. When dry, top with several light coats of Krylon acrylic spray. I decided to see if I could interject some more personality into my ink trees. That involved controlling the ink more than when I was just letting it drip from the top. But I still used a pipette to draw them in! The background is acrylic paint. 1. 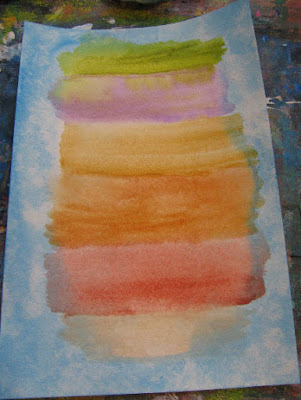 Use a large brush to wet your watercolor paper. Working from the top, layer in Phthalo blue, Phthalo green mixed with glaze, and white gesso with the large brush. Clean the brush, and from the bottom, layer in Jenkins green, Sap green mixed with glaze, and white gesso. Blend and let it dry. 2. 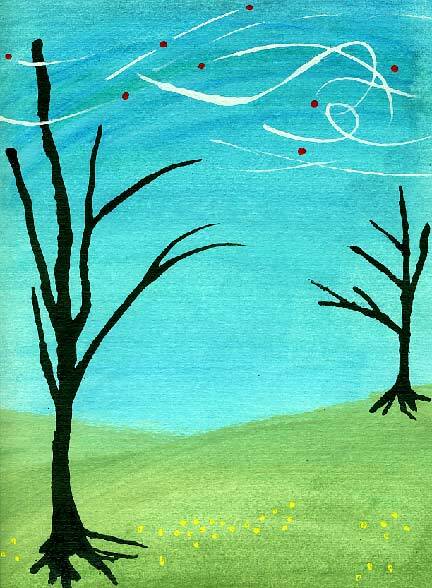 Using a pipette, add swirls in the sky with waterproof white ink. 3. 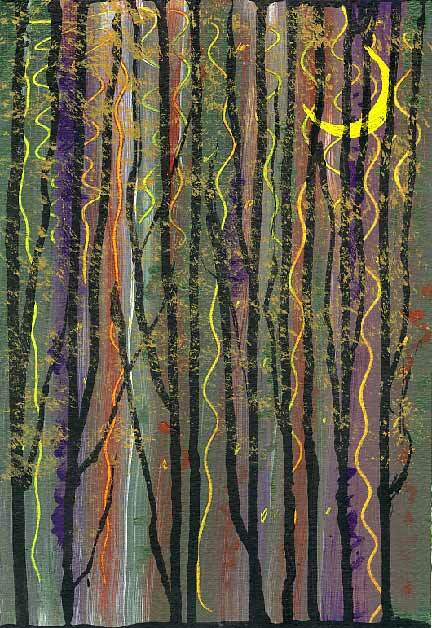 Use another pipette to draw in the trees with waterproof black ink. Add some "flowers" with Hansa yellow light. 4. 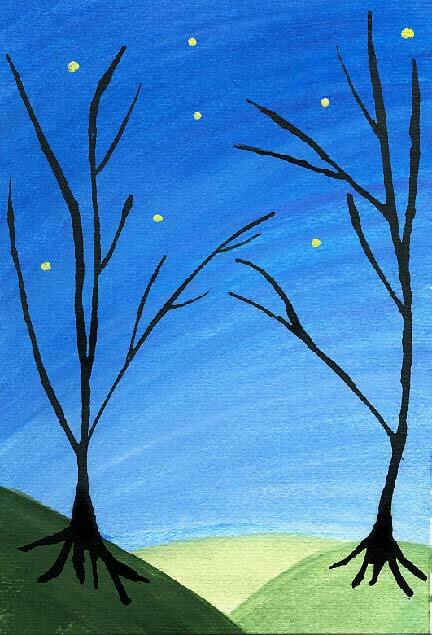 Use Naphthol red light to add a few spots in the sky, flowing from tree to tree. 5. 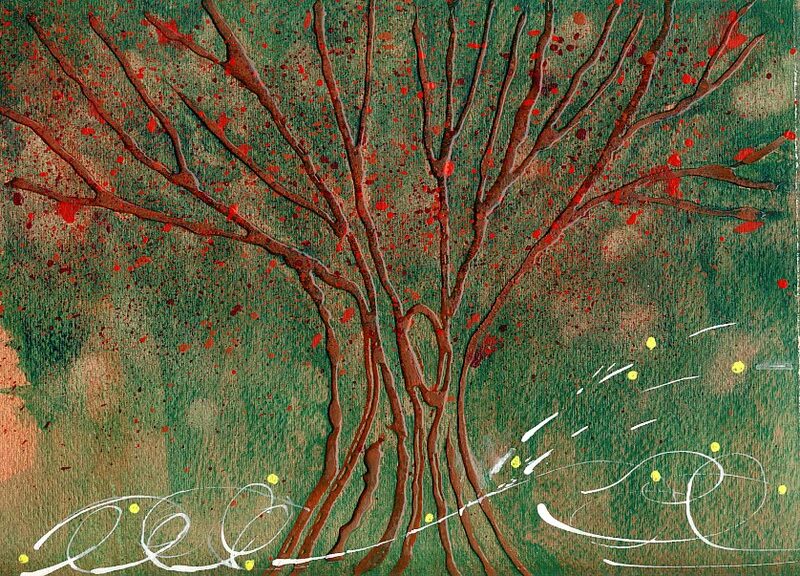 Use white gesso to make a few of the ink swirls cross in front of the tree. 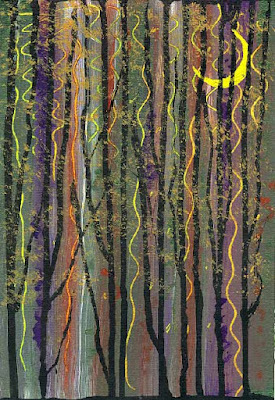 This helps to give more depth and more of a sense that the swirl is traveling deeper into the picture to the farther tree. Top it with several thin coats of Krylon clear acrylic spray. 1. I started this piece with a batik-style background, for which you can find a tutorial at the link. 2. 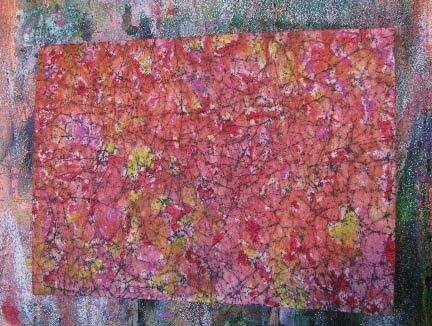 After the background was completely dry and ironed (to make absolutely sure the ink wouldn't run), I flooded it with dilute washes of several acrylic paints: Hansa yellow light, Medium magenta, and Pyrrole orange. 3. I used pieces of painters tape (low tack) and card stock to form the masks. After adhering them to the center of the piece, I used a foam roller to lightly roll white gesso around the outside, just enough to mute the colors but not enough to totally obscure them. 4. Slip out the card stock mask, but keep the painters tape. Add more tape around the central rectangle that was previously under the card stock. Just line up the new tape with the edges...it's easy! Roll the center portion with Manganese blue. 5. Carefully remove all the tape. 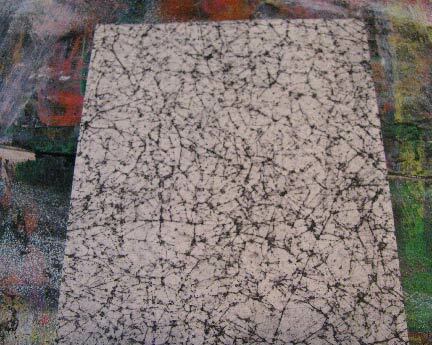 Add black lines with waterproof black India ink and a razor blade. 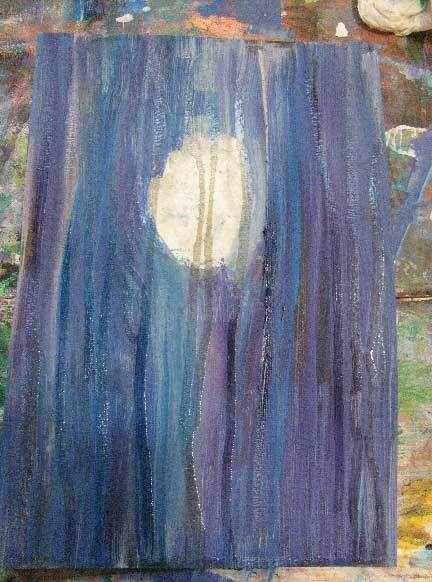 Prepare your watercolor paper, 140 lb cold pressed, with white gesso. I use foam brushes for this. 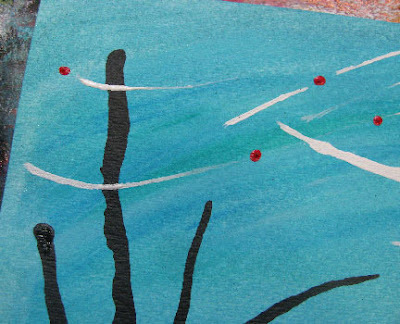 You might want to test your thinned paints on a scrap piece of paper with gesso before committing to the full-sized piece, to make sure you are getting the colors you want. Thinned acrylics can be a bit deceiving! 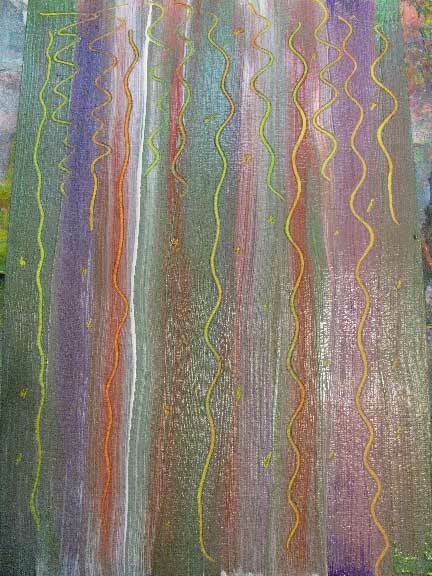 When the gessoed paper is still a bit damp, use pipettes to drip the paints lengthwise along the paper, holding it up vertically. 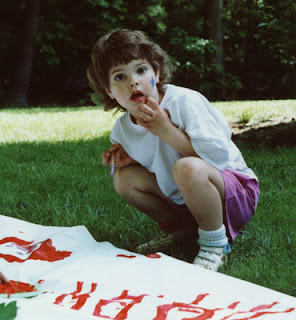 Flip the paper to the side, holding it up horizontally, and allow the paints to drip and mingle. Use a spray bottle if needed to encourage more running. Allow the piece to dry thoroughly and spray it with clear acrylic fixative. Spray lightly with water and use a pipette to drip black waterproof India ink for trees. Add "branches" by drawing out some of the ink in the "trunks" with the tip of an empty pipette. Dry thoroughly and spray again with fixative. For this simple painting, I started with a sheet of heavy watercolor paper and painted the background entirely with diluted Iridescent copper acrylic paint, using a foam roller. I gave it several coats. 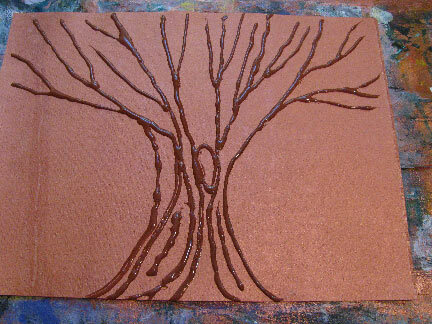 When it was completely dry, I tinted up some tar gel with Red oxide paint in an applicator bottle, and used that to sketch in the tree. Accuracy was NOT an issue, just a general impression. You need to let tar gel dry on its own...it doesn't always react well to a heat gun. So put it aside, work on something else, and come back the next day. The next step involves painting a scraping with ever deepening shades of the follow colors: Permanent green light, Phthalo green, Turquoise phthalo, and Phthalo blue. Quickly drop some alcohol around the piece and lift some of the paint with a paper towel or cloth. Splatter the tree branches with Red oxide, Quinacridone crimson, and Pyrrole red. 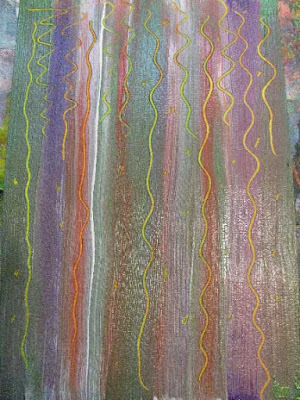 Finish with some lightly drawn lines of White gesso and dots of gesso tinted with Hansa yellow light. 1. 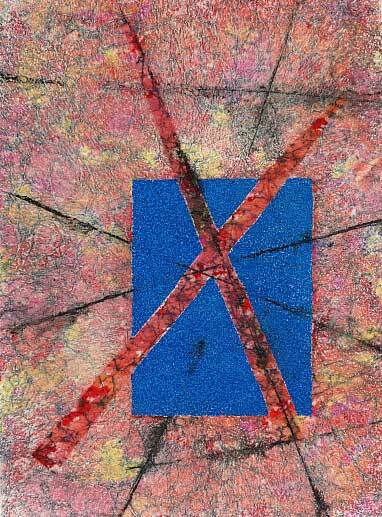 Use matte medium on a foam brush to lay down your torn text pieces on the watercolor paper. Don't overthink it. Leave the top unsealed as much as possible. 2. Use a foam brush or sponge to add diluted (with water) Yellow ochre over most of the surface. Let it puddle a bit and sink in unevenly. 3. Add Red oxide next, and finish with Quinacridone gold, added with your fingers in just the spots you want. Let it dry thoroughly. Iron flat if needed. 4. Spritz the piece lightly with water. Using a pipette, drip in your trees and add some extra branches where you want. Let dry and spray with acrylic spray. 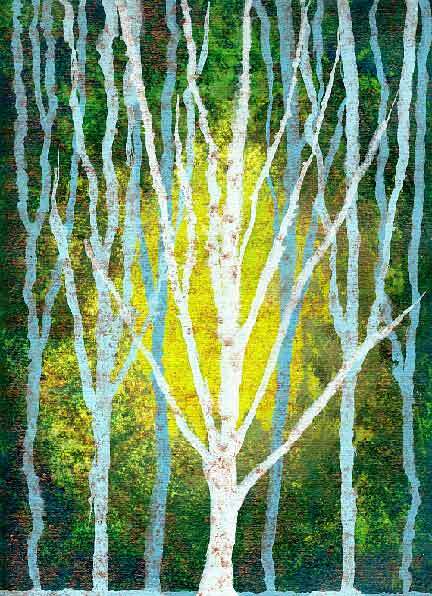 Think about all the different colors you could use for a mixed media painting like this, depending upon the season! I'll share the colors I used for this one, but feel free to make substitutions that suit you. 1. 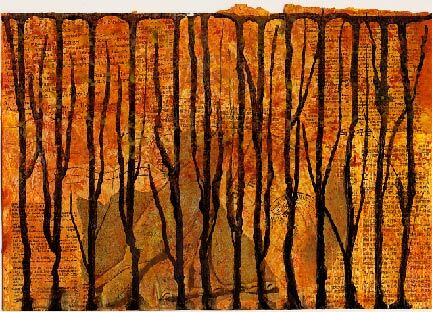 Starting with a sheet of watercolor paper, drip black India ink from a small pipette to form the "trees". Let it dry thoroughly and give it a light spray with acrylic fixative. 2. Mix up the colors you want to use. I place them in small cups and dilute them with quite a bit of water to get the thin consistency. No acrylic medium this time! 3. Spritz the surface with water. 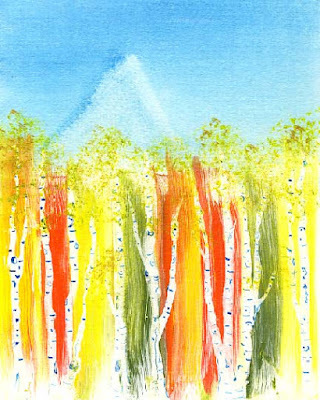 Use pipettes (one per color) to add lines of color between the "trees". Spray more if the paint doesn't move the way you want it to. 4. Let it dry and adjust the colors if needed. Sharon's main goal, I feel, is to teach you how to tell a story with your quilts, how to make every part of the process serve the art. 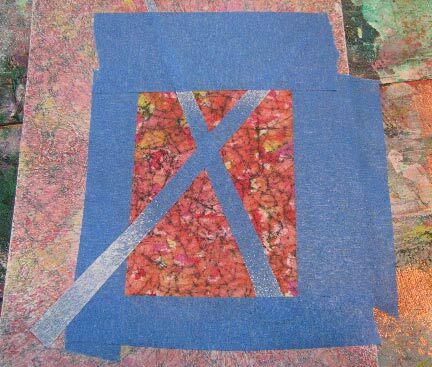 To that end, she starts with an overview of the encrusted crazy quilting style, discusses how to design that journey for your viewer, and then moves to piecing and stitching. 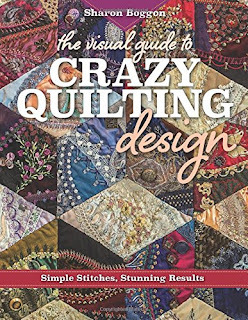 The second half of the book teaches you how to do beautiful variations on basic stitches and how to incorporate beads, buttons, and more. 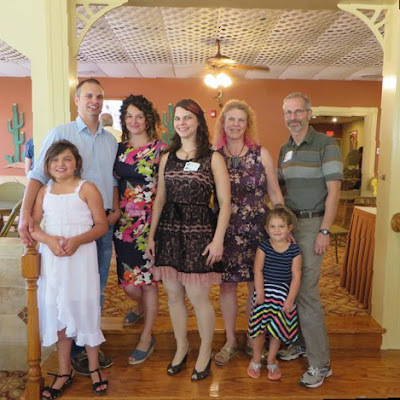 "A good, quick way of finding a color scheme is to select a favorite patterned fabric. The trick is to find fabrics that match the colors in the fabric. Once you have about five colors, you will have your color scheme for a block. Look for fabrics that match a favorite photograph. As you piece a block, don’t forget to select lace, thread, beads, and buttons to harmonize with the colors in the fabric patches. 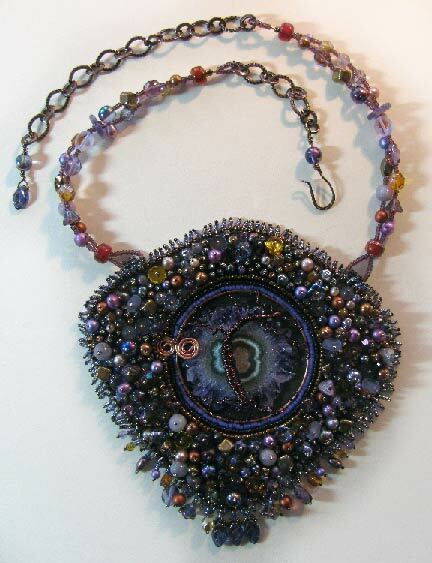 Think about color not only as you piece your project but also during the hand embroidery and embellishing phases." 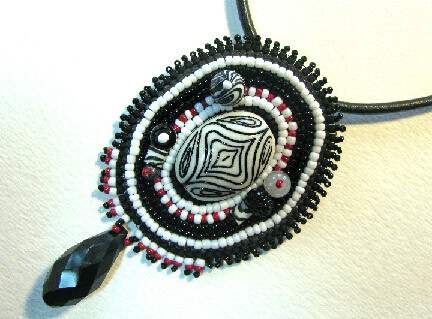 Last week was part one of the list of tutorials on Beading Arts, covering beaded arts, jewelry, and other wearables. I used a batik-style background for this piece. The instructions can be found at the link above. It's super-easy to do, using waxed paper and some non-waterproof black ink. After adhering the textured paper to your substrate and ironing it, I would advise adding a few coats of acrylic spray to prevent any running. I used heavy-bodied acrylics diluted with water (not medium) in the following colors: Permanent violet dark, Quinacridone magenta, Hansa yellow medium, Phthalo green, and Ultramarine blue. I spread it around on my piece using pipettes. I used paper towels to blot it frequently, and to build up layers of color. After drying thoroughly, I spritzed the piece with water and used regular water proof India ink in a pipette to drip the trees and add thinner branches. I let it dry and then adjusted the paint colors as needed.